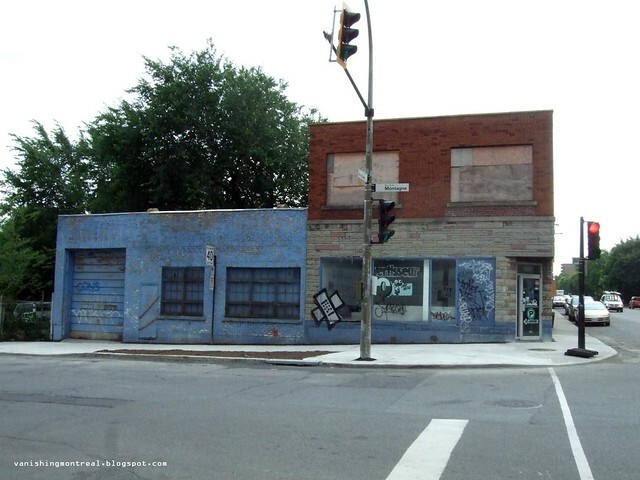 I wonder what's going to happen to this abandoned building on the corner of De La Montagne and Notre-Dame Ouest, which is on the Griffintown side of Notre-Dame O which delineates Griffintown and Ville-Marie. Let's look at the other 3 corners: there's a new anonymous-looking building there and another new anonymous-looking building and yet another new bland building. Hmm...I see a pattern. You can get a 360 degree view of the intersection with Google Streetview with this link. I don't know about the adjoining small businesses next to it (last photo) but the fate of this one seems pretty much sealed. Somehow this reminds me of a Hollywood-made science-fiction movie from the 1950s called MONOLITH MONSTERS and its tagline: Mammoth skyscrapers of stone thundering across the earth! 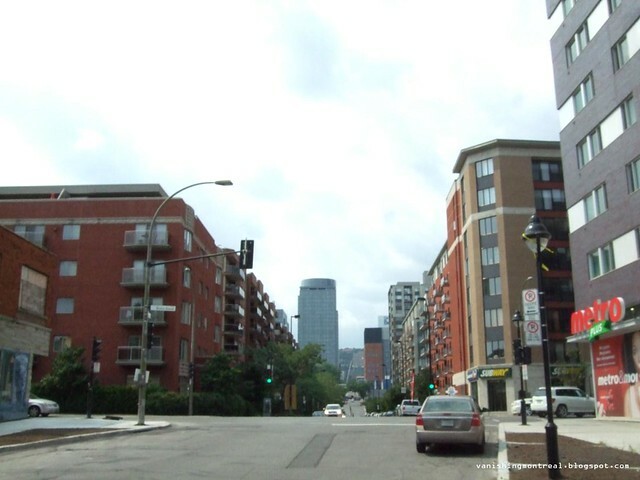 I moved from Montreal years but used to work very close to this intersection. I can't beleive the changes. On the south side of Notre Dame, all the buildings were two to three-storey with small businesses on the ground floor. On the north side, there were the tracks of the CNR freight and express yards. It must odd to see Montreal so different than what you remembered it when you left. The changes have been gradual during the last decade but now it's full steam ahead. There are so many changes that it's difficult for me to keep up. Glad you enjoy the site and thanks for the compliment. Right you are John, it is odd. Montreal didn't seem to change for quite some time while going through its depressed period from 1976 to the 1990s and then suddenly -- like you say -- full steam ahead. I also remember the steel bridges at Mountain and also at Guy as those streets crossed the CNR railyards. 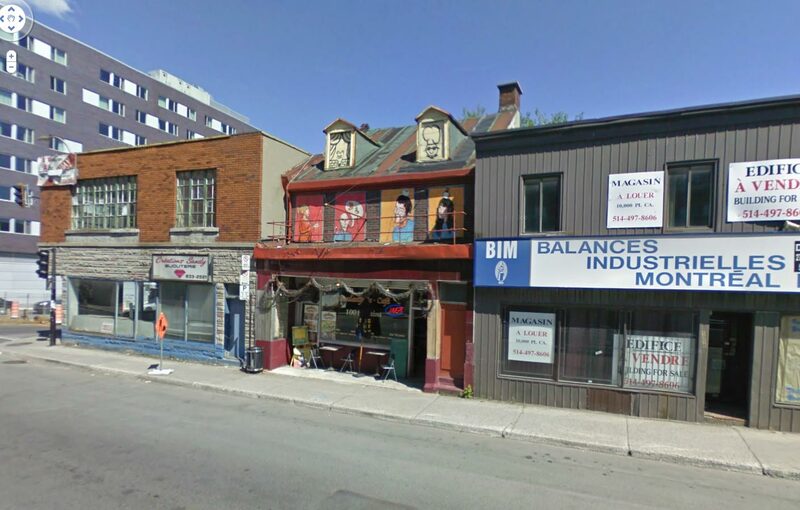 I worked at the stockyards on Bridge Street for a short time and then in Griffintown at Ottawa and Eleanor just down the street from your photo. The disappearance of the Wellington Tunnel was also a shock. My biggest surprise was the area around Guy and St. Catherine. 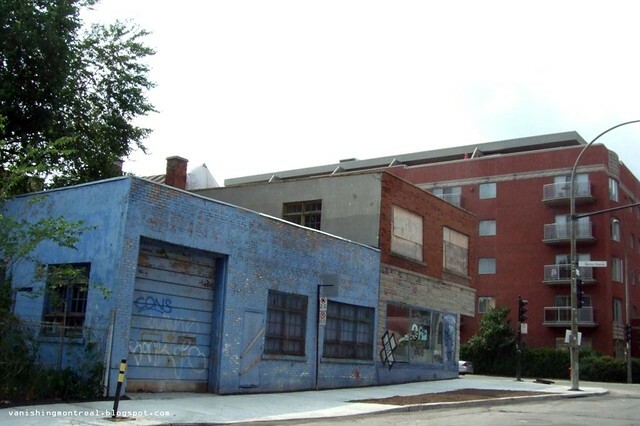 No more Mansion's Garage, or York Theatre or the building that housed the Stork Club. 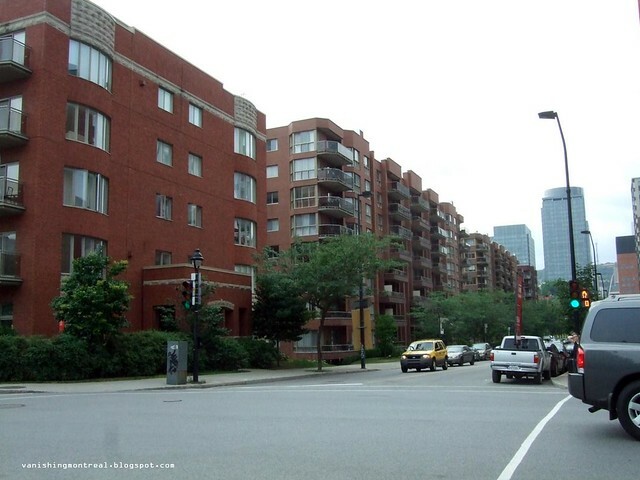 It's now Concordia Corner with its many high-rises. Keep up the great work. I check your site every day.